Being fully pre-approved means that the lender has agreed to have you as a client (you have a pre-approval certificate) and the lender has reviewed, approved ALL your income and down payment documents (as listed below) prior to you going house hunting. Many bankers will say you’re approved, you go out shopping and then they sorry you’re not approved due to some factor. Get a pre-approval in writing! It should have your amount, rate, term, payment and date it expires. Excited! Of course you are, you are venturing into your first or possibly your next biggest loan application and investment of you life. Think? You’re the seller and you know the buyer doesn’t have to run around finding financing and the deal may fall apart? This is the #1 reason deals DO fall apart. You will likely get the home over someone who isn’t fully approved and has to have financing subjects. The home is yours and nobody’s time is wasted. If you just walked into the bank, filled an application and gave little or no documents, and got a rate – you have a RATEHOLD. This is NOT a pre-approval. This guarantees nothing and you will be super stressed out when you put an offer in, have 5-7 days to remove financing subjects and you need to get any or all of the below documents. That’s not fun is it? Use a Dominion Lending Centres mortgage specialist ALWAYS. We don’t cost you anything! When you get a full pre-approval, you as a person(s) are approved; ie: the bank’s done their work of reviewing (takes a few days) to call your employer, review your documents, etc. All we have to do is get the property approved, which takes a day or two. Much less stress, fastest approval…faster into your home! 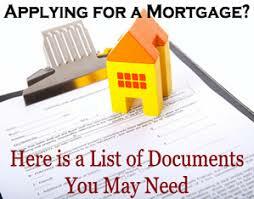 Here is exactly the documents you MUST have (there is NO negotiation on these) to get your mortgage approved with ease. Key word here is EASE. Banks/Lenders have to adhere to rules, audit files and if you don’t have any of these or haven’t been requested to supply them…a big FLAG that your mortgage approval might be in jeopardy and you will be running around like a crazy person two days before your financing subject removal. Letter of Employment from your employer, on company letterhead, that states: when you started, how much you make per hour or salary, how many guaranteed hours per week and, if you’re new, is there a probation. You can request this from your manager or HR department. This is very normal request that HR gets for mortgages. Notice of Assessment from Canada Revenue Agency for the previous tax filed year. Can’t find it? You can request it from the CA to send it to you by mail (give 4-6 weeks for it though) or get it online from your CRA account. 90 day history of bank statement showing the money you are using to put down on your purchase. Why 90 days? Unless you can prove you got the money either from a sale of a house, car or other immediate forms of money (receipt required)…saved money takes time and the rules from the banks/government is 90 days. They just want to make sure you aren’t a drug dealer, borrowed the money and put it in your account or other fraud issues. OWN SOURCES = 90 days. BORROWED is fine, but must be disclosed. GIFT is when mom/dad give you money. Once you have an approval for “own sources” you can’t decide to change your mind and do gifted or borrowed. That’s a whole new approval. Own Sources: For example for “own sources”: if you are a first time buyer and your money is in RRSP’s then, have your last quarterly statement for the RRSP money. If your money is in three different savings account, you need to print off three months history with the beginning balance and end balance as of current. The account statements MUST have your NAME ON IT or it could be anyone’s account. I see this all the time. If it doesn’t print out with your name, print the summary page of your accounts. This usually has your name on it, list of your accounts and balances. Just think, the bank needs to see YOU have money in your (not your mom’s or grandparents) account. Going to the bank direct is such a big disservice to you. That is like walking into Ford and asking for a Mercedes or Toyota. As a broker: I am FREE! I work with ALL the banks and know ALL the rules. The bank you choose pays me to give you great service and a fantastic product. There are over 300 of them…so don’t sell yourself short.